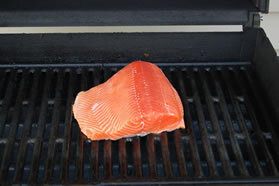 Chinook salmon are among the top tier of the word’s healthiest foods – rich in Omega-3 fatty acids. A growing body of scientific research indicates that these healthy fats help prevent a wide range of medical problems, including cardiovascular disease, depression, asthma and rheumatoid arthritis. The commercial value of Snake River spring chinook is the highest of all of the salmon sold in the Columbia River because of its rich fat and oil content that is needed for the long uphill migration. 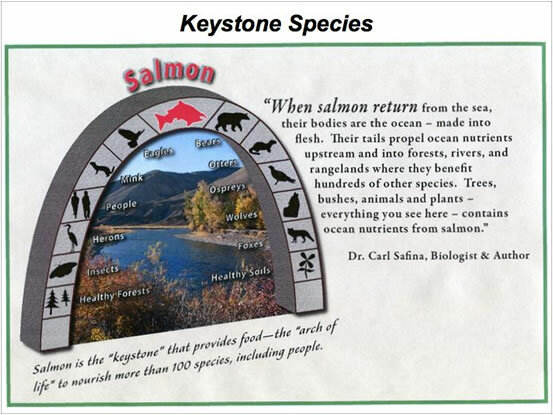 Salmon are truly a keystone species. One hundred different kinds of terrestrial vertebrates native to the Northwest benefit from salmon. Bears are conveyors of nutrients to forest ecosystems by carrying carcasses upwards of 0.5 mile from spawning streams. 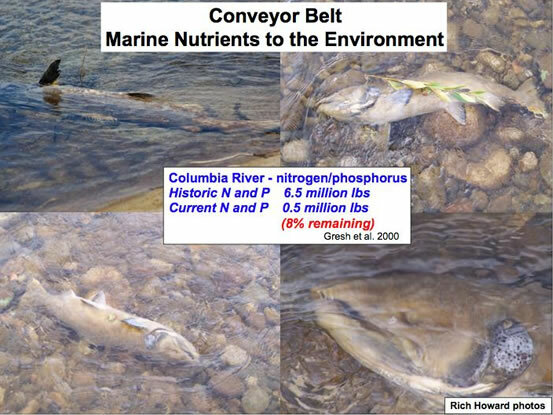 Historically salmon returning to the Snake River Basin transported millions of pounds of marine nutrients - mostly nitrogen and phosphorus – to freshwater environments. Because of granite geology many central Idaho ecosystems are limited in essential nutrients, especially nitrogen. Loss of salmon carcasses has had catastrophic effects on stream-riparian productivity. Minerals absorbed by plankton, fungi, bacteria and algae transfer up the food chain to insects and fish.